When striving to reach your fitness goals whether it is to lose weight, tone your body, increase muscle size, or train for an athletic event, it’s important to hold yourself accountable. There is some amazing technology out there that puts this accountability literally at our fingertips and myfitnesspal is among the best. When I first began my fitness journey in March of 2010, a friend recommended sparkpeople.com to me. While that’s still a great tool, I now use myfitnesspal.com to track my nutrition and workouts. It also lets me connect with my clients to that I can see what they are doing and help motivate them, as they can with me. Myfitnesspal.com is a website that also includes a great iPhone and Android app. I can quickly record everything I eat during the day by searching a mega database of nutritional information for virtually every food item in existence. And, to make it even easier, there is a feature that lets you scan the barcode on any food package and it will automatically add that food to your daily nutrition log and personal favorites database. It’s pretty darn slick. When you first set up myfitnesspal, you enter your personal information such as weight, age and weight goals. It then sets up a plan for you to reach your goals over a period of weeks or months, only allowing you to lose a maximum of a safe two pounds per week. 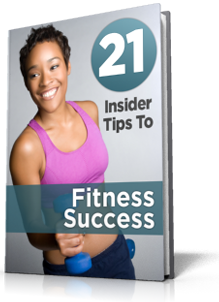 You log your workouts and physical activity along with your nutrition. Throughout the day, you can see how many net calories you have left to consume to reach your daily nutritional goals. You can then either increase your calories our pull back to come as close to your net calorie goal as possible. We know that the only way to lose weight is to create a calorie deficit. I highly recommend downloading this app onto your smart phone and using the website to hold yourself accountable. And if you’d like to follow me on myfitnesspal.com, my user name is btkoning. This entry was posted in Miscellaneous, Motivation, Nutrition, Programming, Workouts. Bookmark the permalink.